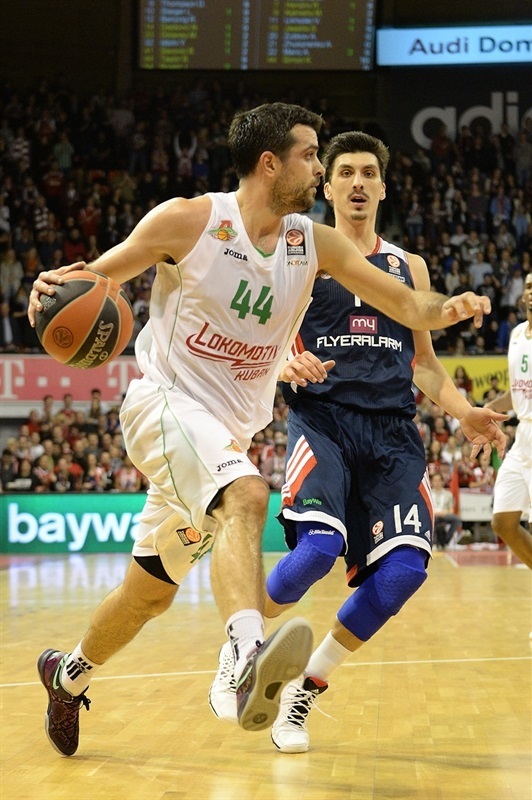 FC Bayern Munich roared back into the playoff hunt with an 82-79 come-from-behind victory over Lokomotiv Kuban Krasnodar on Friday night at the Audi Dome. Munich and Lokomotiv both sport 3-4 records and are joined by Galatasaray Liv Hospital in a three-way tie for fourth place in Top 16 Group F. The visitors simply dominated early and led 20-39 early in the second quarter before Bryce Taylor highlighted an 11-0 run that gave Munich hope. 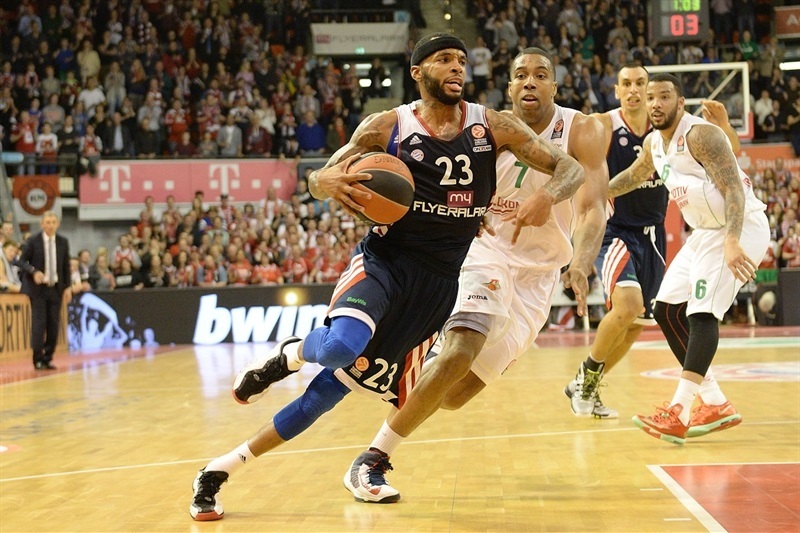 Malcolm Delaney heated up in the third quarter to complete the comeback. The lead changed hands three times in the fourth quarter, but a Taylor three made it a two-possession game with 1:37 remaining and Delaney and Heiko Schaffartzik combined to make 6 free throws in the final 15 seconds to seal the win. Delaney finished with 18 points after making 10 free throws without a miss. Taylor finished with 14 points and Deon Thompson, John Bryant and Schaffartzik netted 12 apiece. Krunoslav Simon paced Lokomotiv with 19 points, Richard Hendrix tallied 14 points and 12 rebounds and Derrick Brown added 11 points. 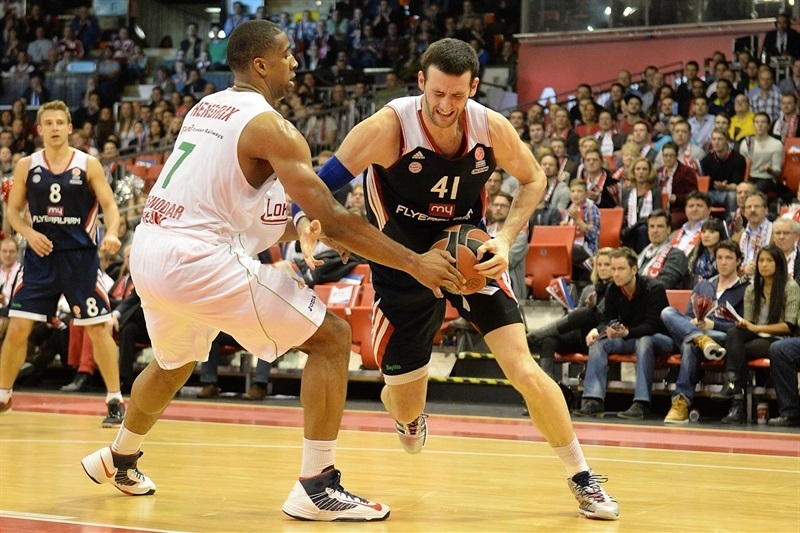 The hosts struggled to find the bottom of the net early as Simon and Simas Jasaitis gave Lokomotiv the lead. Thompson eventually got Munich its first points before Brown’s three-pointer made it 2-7. 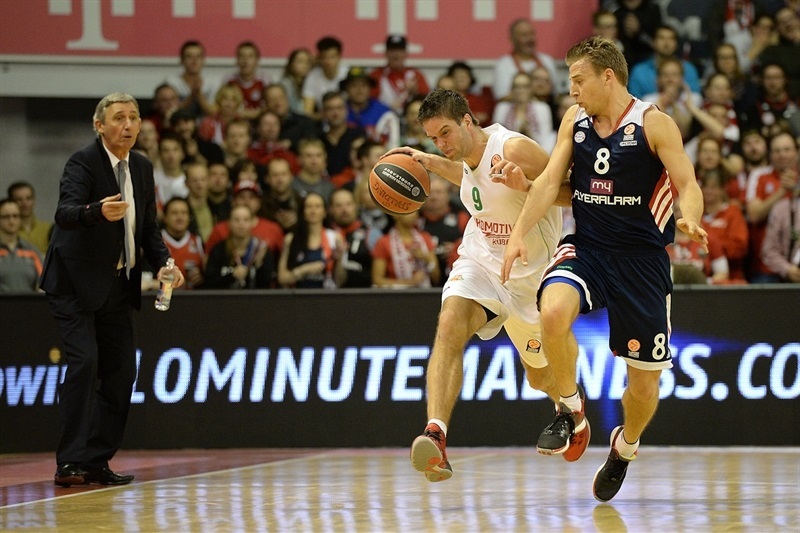 Munich quickly closed the gap on Robin Benzing free throws and Nihad Djedovic’s steal, which led to a Thompson layup. However Hendrix and Mantas Kalnietis teamed up to restore Kuban control. Following a Bayern timeout, Bryant closed the gap, however threes by Simon and Jasaitis soon had the visitors cruising at 10-17. Bryant scored in three of four Munich possessions, but Hendrix boosted the visitors to 9 before free throws by Brown and Aleks Maric made it 12-24. Simon capped a 9-0 lead. After Thompson put in his own miss, Maric threw down a slam and Brown’s third steal of the quarter created an opportunity for Marcus Williams’s layup at the first-quarter buzzer for a 14-30 lead. Yassin Idbihi’s steal led to a Bryce Taylor slam, however Loko countered through Maric inside and a Hendrix steal leading to Williams’s pull-up jumper. Thompson and Schaffartzik – with a nifty floater – gave the fans something to cheer about. But hope was dashed as Valeriy Likhodey nailed a triple and Brown beat the defense down the floor for a slam and a 20-39 advantage. Idbihi sank a jumper and Boris Savovic scored on the offensive glass and Schaffartzik wowed the crowd with a three off the glass. The dome erupted when Taylor drilled a three – and was fouled – to cap an 11-0 charge. Simon ended the Lokomotiv drought with a triple to make it 31-42. Taylor assisted Bryant inside, but Brown free throws and a Hendrix slam kept Lokomotiv in control. Delaney’s first basket was matched by Hendrix with his fifth. 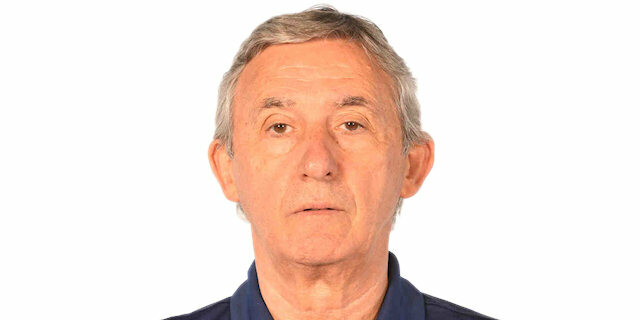 Savovic made it a 10-point game with a three-pointer. Simon’s floater was matched by Delaney free throws to leave 40-50 on the scoreboard at the break. 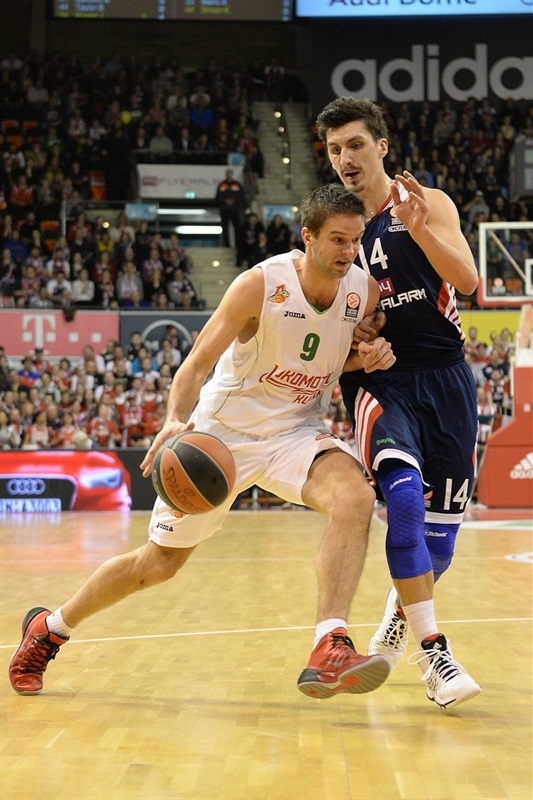 Kalnietis basket was bettered by a Delaney three to start the second half. Bryant scored twice to narrow the gap to 5. Delaney pulled up for a triple in transition to complete a 10-0 run that brought his team within 2. Hendrix’s tip-in ended a three-minute scoring drought for the visitors. Delaney scored 2 from the line, Kalnietis matched him with a basket for Kuban. Thompson made it 54-57 midway through the quarter. Lucca Staiger tied the game with a triple as the Munich crowd roared. It only got louder when Schaffartzik knocked down a three for Bayern’s first lead of the night. 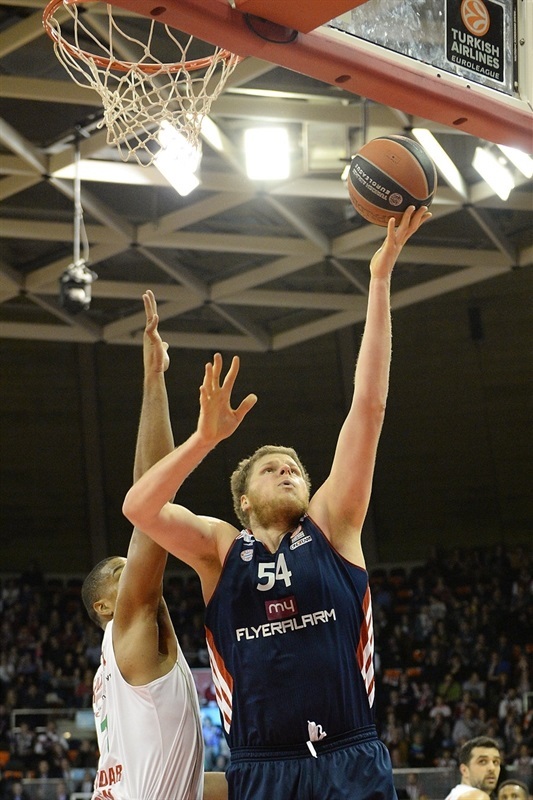 Kalnietis free throws kept Lokomotiv close. Delaney and Simon traded free throws. Hendrix stood tall with an amazing block of Savovic before Simon free throws put Lokomotiv back on top. Williams added a mid-range jumper for a 62-65 lead. Baskets by Taylor and later Thompson closed the gap to a single point. Taylor drilled a three to put the hosts up 69-67. Maric tied the game on the next play before Brown restored a Lokomotiv edge with a jumper. Schaffartzik leveled the game with a shot of his own. 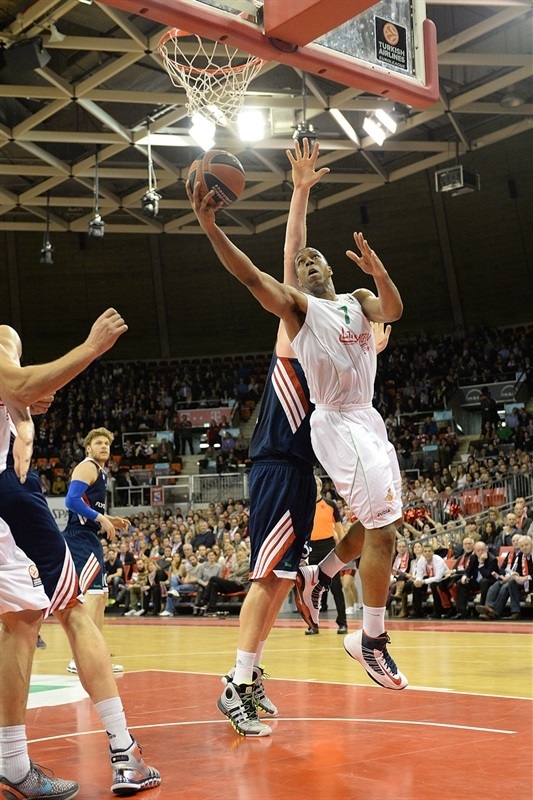 Idbihi’s jumper put Bayern ahead 73-71 midway through the quarter. 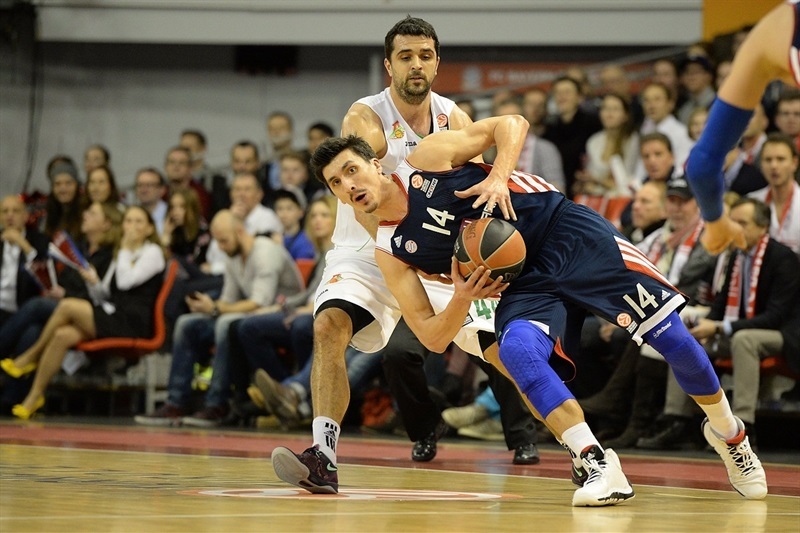 Savovic rejected Hendrix at the rim, but Bayern did not capitalize. As the tension rose, the shots stopped falling. Simon split free throws to bring Lokomotiv within 1 with four minutes remaining, but neither team scored for the next two minutes. A Taylor triple with 1:37 remaining gave the hosts a two-possession lead. 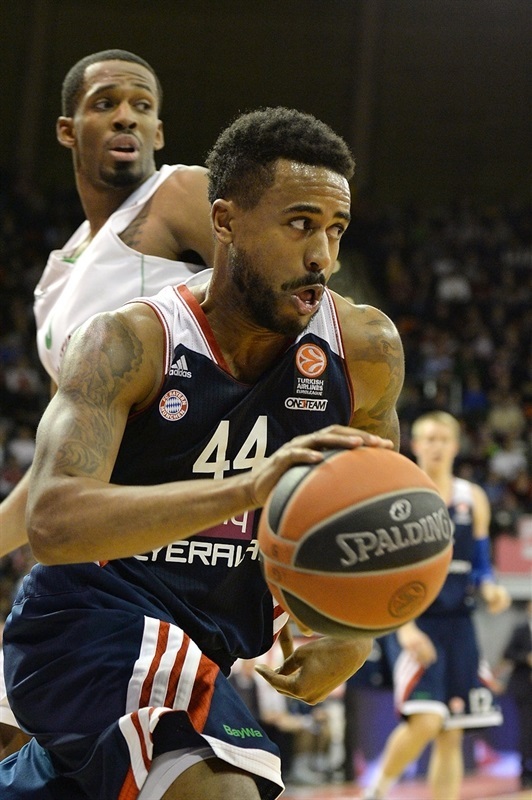 Brown lost a ball out of bounds, but after Lokomotiv stopped Bayern on defense, Simon closed the gap to 3 from the line. Williams had an open three to tie the game with 25 seconds left, but missed. The visitors sent Delaney to the line with 14.7 seconds remaining all but iced the game by making both shots, 78-73. A quick three by Likhodey gave Lokomotiv hope, however Schaffartzik knocked down the 2 foul shots with 8.3 seconds remaining. 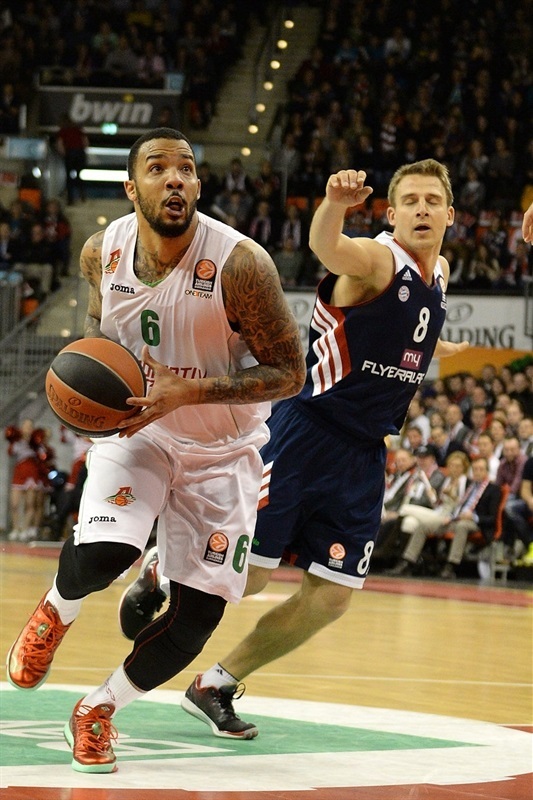 Williams sank a three to bring his team within 1, but Delaney’s last 2 free throws ended the game at 82-79. "Our performance in the first ten minutes was outrageous; I am disappointed. We must not allow that to happen. We showed no intensity or concentration. I told the team at halftime that it is their decision whether to continue playing so and to lose the or to fight to win the game. Our opponents scored 30 points and had 9 assists in the first quarter . Throughout the second half, there had only 29 points and 2 assists. I believe that explains everything. " "It was a tough game for us. We had a very good start to the game and defended very well . However, we made too many mistakes and let Bayern come back. This was to be expected, but we did not respond well to Munich rallying. In the fourth quarter we also had some turnovers that cost us the win."